As I sit here writing this post, I chuckle at how I suspect my friends will react when they see a vegan recipe coming through. You see, I come from a long line of meat eaters. Heck, I just went in with a couple of friends on a split-quarter of an organic, grass-fed cow. Yep, seriously carnivorous. But I also love to cook and experiment in the kitchen, so I jumped at the opportunity to review Melissa Costello’s new book, The Karma Chow Ultimate Cookbook . What an eye opener. Not only is this book informative about plant-based eating in general, it’s packed with helpful tips and includes a decent glossary of the ingredients used inside, some of which you may find less than familiar. Most of the 125+ recipes include beautiful, glossy photos, and the majority use ingredients readily available at your local market, although there are a few which may require a trip to the health food store. Since the book was sent to me several weeks ago, I’ve had some time to sample quite a few recipes, all of which were delicious! I was especially impressed with the Cherry Pecan Quinoa Muffins, which were moist and extremely satisfying (thanks to the almond butter, no doubt). Those got divvied up among some friends, and everyone enjoyed them. I realize now that I should have kept those all to myself, as I’ve been craving them since. The Chickpea “Tuna” Salad and the Baja-Style Fajitas were quite good as well. 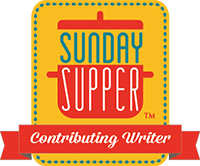 I have no doubt that the Stuffed Mushroom Poppers, the Soba Noodle and Pea Pesto, and the Enchiladarole (Enchilada Casserole) will be hits too. And let’s just say this Indian-Spiced Coconut Yam Soup is out of this world. It doesn’t take long to come together, and the aroma that wafts through the house is amazing. 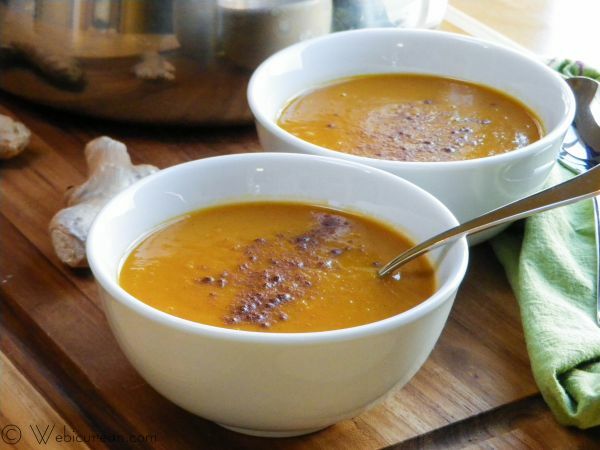 The soup is rich and creamy, packed with nutrients, and just the right amount of sweet and spicy. My husband said it best — “This is healthy?”Â Yep. Before we start, get all the vegetables chopped and ready to go. 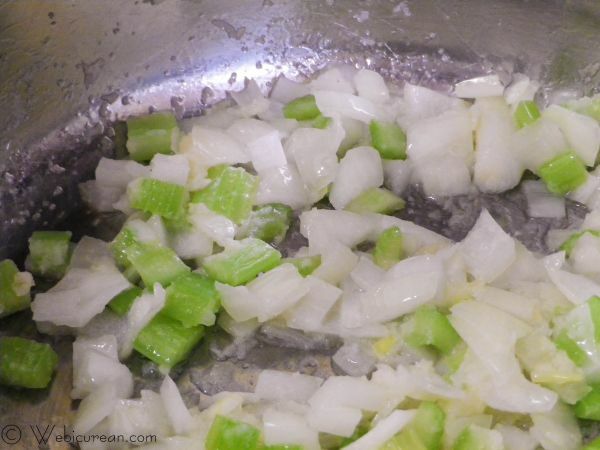 First, sautÃ© the onions, celery, ginger and garlic in the coconut oil. When the onions are translucent, stir in the garam masala, and cook for about another minute. Next add the carrots, yams and broth. Bring this to a boil, then reduce the heat, cover and simmer for about 20-30 minutes. 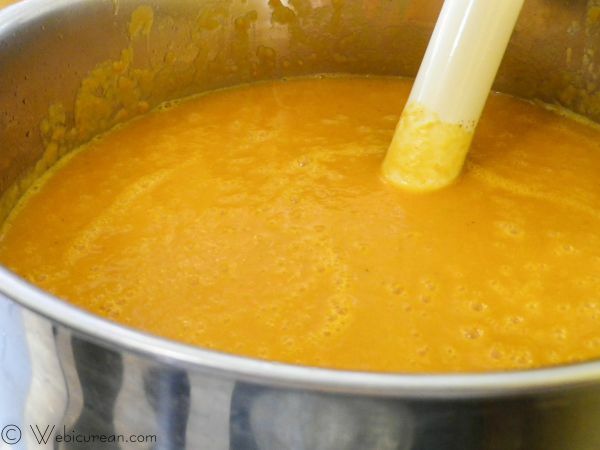 Once the yams are thoroughly cooked, remove from heat, stir in the coconut milk, then blend with an immersion blender until smooth and creamy. Serve yourself a piping hot bowl, and sprinkle a little cinnamon on top. Enjoy! 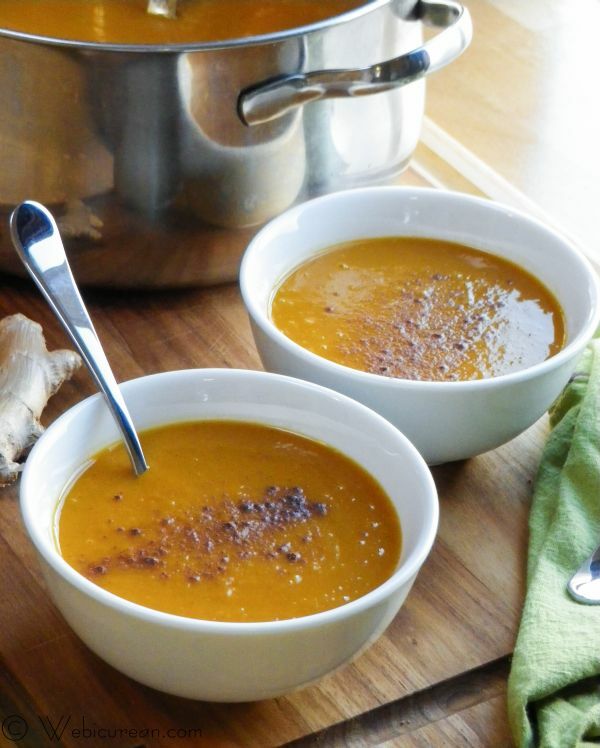 Creamy and delicious, this Indian Spiced Coconut Yam Soup is packed with lots of flavor and nutrients. Heat the oil in a large soup pot over medium heat and sautÃ© the ginger, garlic, celery, and onion until translucent and soft. Add the garam masala and stir to combine to release the flavor of the spice. Add the carrots, yams, and veggie broth. Turn the heat to high and bring to a boil, turn down to a simmer, and cover. 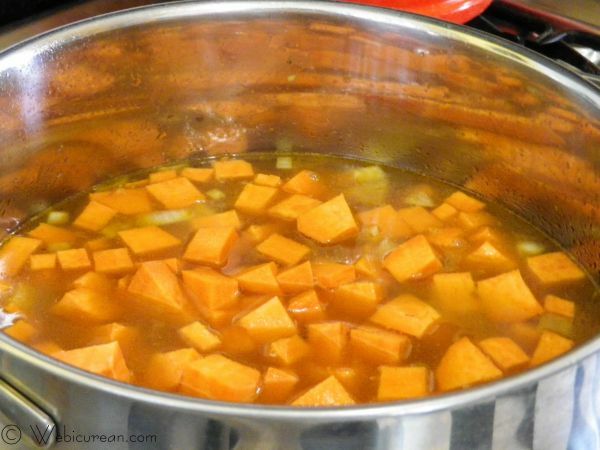 Simmer for 20 to 30 minutes or until the yams are soft. Puree using a hand blender until creamy smooth and season with salt and pepper to taste. Top with cinnamon, to taste, before serving. Note: HCI Books generously provided a copy of this book to review, and all opinions expressed above are my own. The Indian-Spiced Coconut Yam Soup is reprinted here with permission. Also note, I earn a modest commission for any purchases made through the Amazon.com links within this article. by Melissa Costello. (HCI; October 2012; $18.95/Paperback: ISBN-13:978-0757316333). I love Indian food! Vegan or not, this looks and sounds so creamy and lovely! Great photos too! Thanks! I love Indian food too–Once I figured out how to cook some of my favorite dishes at home, there was no turning back… goodbye take out! Yum, I love spicy soup – this one sounds delicious! Thanks! This one is so rich and satisfying, it’s hard to believe it’s good for you! delicious color of the soup. do visit me too. Thanks for stopping by–I do hope you enjoy it! It’s such a warm and satisfying soup! christmas means carnage! | what can i eat that won't slowly kill me or give me brain damage?